Anyone who takes prescription drugs that have not been prescribed for them by a doctor or in any way that has not been recommended by a physician is putting himself or herself at risk as this can be fatal. Currently, prescription drugs fall among some of the most regularly abused drugs, including methamphetamine, heroin, cocaine, and marijuana. 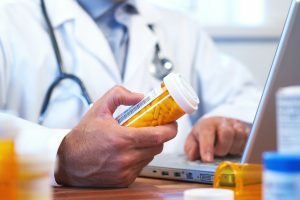 Certain prescription drugs have a tendency to become addictive, particularly when in taken in ways or dosages inconsistent with their prescription. 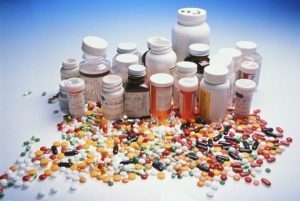 Prescription drug abuse also occurs when one takes prescription drugs that have not prescribed to them by a doctor. Most prescription drugs continue being prescribed legitimately and they still end up in the possession of people who intend to abuse them. Given the sudden increase in prescription drug use, which has taken a significant toll, more people are going to hospital for prescription drug overdoses or even death. Opioids are mainly used to relieve pain. Doctors have been prescribing opioid medications since the 1990s and these prescriptions have increased significantly since then. Opioids can be used to treat any kind of pain ranging from pain resulting from medical procedures to pain caused by injury. Examples of opioid analgesics include codeine, fentanyl, morphine, hydrocodone, and oxycodone. When one takes an opioid, it works by attaching itself to the brain‘s opioid receptors or those in the spinal column. The opioid then blocks any pain messages once it is in place and prevents them from being relayed via the nerves to the brain. This helps to decrease the amount of pain being felt by the user. When opioids are taken in excess dosages, they will generate a feeling of euphoria in the person, which is pleasurable. This feeling is usually what prompts the user to continue taking this drug simply for the sensation. As the person continues taking the opioid drug to experience a euphoric feeling, the body starts establishing tolerance to the said drug, which in turn reduces the effect of the dosage one takes. This means that if the user wants to experience the same feeling of euphoria, he or she will have to take the drug in a larger dosage and this will increase their tolerance even further. This generates a cycle of increasing opiate drug abuse that causes the user’s body to generate a dependence on the drug. Dependence on a specific prescription drug does not have a timeline as it can escalate quickly once the user starts using the drug beyond casual indulgence. The more a drug is taken, the faster one develops a psychological or physical dependence. 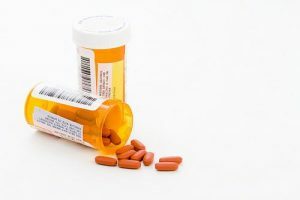 Prescription drug abuse differs slightly from dependence because once a user is addicted he or she feels the compulsive need to seek the drug for use. After one becomes dependent on prescription drugs following abuse, he or she discovers that it is difficult to stop using the drug because the withdrawal symptoms are often painful. Most users thus continue taking prescription drugs as is the case with hard street drugs such as heroin, so they do not have to go through the withdrawal symptoms of opioid dependence. The symptoms can occur almost as soon as one takes the last dose, which is usually within a 24-hour period. Opioid withdrawal symptoms can include muscle pain, restless leg syndrome, vomiting, cold flashes, diarrhea, and restlessness just to name a few. Stimulants are usually prescribed for a few medical conditions including ADHD, some types of depression, and narcolepsy. They are most commonly prescribed for ADHD conditions. Amphetamines are included in this group of prescription drugs. When stimulants are taken as supervised, they boost one’s attentiveness and energy levels. However, when they are taken in larger doses they create a euphoric feeling enjoyed by most people who engage in prescription drug abuse. Stimulant users can also become addicted or dependent on these drugs and this can also cause withdrawal symptoms once one reduces or ceases drug use. Stimulant abuse withdrawal symptoms include fatigue, insomnia, and depression. If there is a continuation in increased stimulant use, an overdose can occur of which the symptoms include seizures, and elevated body temperatures. Depressants are also referred to as tranquilizers or sedatives and they reduce brain activity when taken to provide relief from anxiety or allow for restful sleep when taken. Depressant drugs make one calm and drowsy with prescribed use. When depressants are taken in higher doses than prescribed, they can also produce a pleasurable and euphoric feeling. Long-term use of depressant prescription drugs can cause the user’s body to develop a tolerance, after which dependence follows. Once you become dependent on depressant prescription drugs, there will be unpleasant withdrawal symptoms if you try to reduce or stop using them. Aside from the dangers of withdrawal, it is very easy to overdose on certain prescribed depressants because there is a very small difference between what is considered a safe dose and an overdose. If one reaches the overdose level, there can be serious consequences to his or her health not to mention increased depressant use can cause addiction and dependence. It should also be noted that abuse of prescription drugs is usually an indication of usage of other drugs. Research shows that people involved in prescription drug abuse have a higher likelihood of using other drugs compared to people using illegal drugs mainly. Older patients are also at a higher risk for developing an addiction to prescription drugs mainly because they are often prescribed a large amount of drugs for long-term usage. When combined with cognitive problems, this can affect one’s short-term memory of the amount of prescribed drugs one has taken. Prescription drug addiction is mainly identified by the user’s uncontrollable need to obtain more amounts of the drug. Doctors are the main source of prescription drugs and thus users who are addicted will find ways to look for doctors who will give them their desired prescription drugs. This is can make it difficult for doctors when treating patients and making diagnoses, as they have to discern between patients who are genuinely in need of medication and those attempting to gain access to prescription drugs. Additionally, if the user has a real condition, then this can complicate things even further. Experts are still not sure why there has been a sudden increase in the abuse of prescription drugs. However, it is thought that because more drugs are readily available to people, it makes it easier to fall into drug abuse. Doctors are also reporting an increase in prescriptions for patients, which includes prescriptions for the above-mentioned commonly abused drugs. There are also online pharmacies on the internet that people can access easily to buy those highly addictive drugs. Teenagers and even children can easily get prescription drugs thanks to these online pharmacies and even by stealing their parents’ medication. Most of these teenagers do not know anything about the effects of the prescription drugs they are abusing and the dangers of mixing them with other drugs. Often these prescription drugs are mixed with alcohol and this can result in side effects such as loss of coordination, fainting, drowsiness, headaches, vomiting, and nausea. This can also increase one’s risk for breathing difficulties, heart problems, and internal bleeding. Aside from these dangers, alcohol also renders prescription drugs ineffective if not less effective or it can make the drugs toxic or harmful to the body. Some medications have a certain amount of alcohol roughly 10% with laxatives and cough syrup possibly having the highest concentrations. Older people are especially at a higher risk for harmful interactions between prescription medication and alcohol. Aging delays the body’s capacity to break alcohol down meaning it will remain in the system for extended periods. Older people also have a higher tendency to take prescription medication with alcohol adding to the fact that they usually have to take more than one of such medications. Seniors and the elderly are at a high risk for abusing prescription drugs by unintentionally or intentionally taking unnecessary medications or too much medication. Additionally, a significant number of these older adults use dietary supplements and over-the-counter medicines, which they combine with alcohol at times. This can increase their potential for cognitive impairment and harmful drug interactions. There has been a steady increase in prescription drug misuse among adolescents and teens especially with steroids, stimulants, anti-anxiety medication, and pain relievers. With the increase in the number of written prescriptions currently, these drugs are more easily available. Abusers in this age group mistakenly think that because doctors prescribe these drugs, they are safer for use compared to street drugs. The risk of accidental overdose has increased significantly due to the possible combination of these prescription drugs with alcohol. In general, women and men have almost the same prescription drug abuse rates with an exception being found among those in the 12 to 17 years age bracket. Young women falling in this age group have a higher likelihood of misusing psychotherapeutic drugs compared to men. Studies also indicate that women are at a higher risk for misusing tranquilizers and painkillers. A person’s stage of growth, social environment, or biology may have an effect on his or her likelihood to become addicted. The higher the risk, the higher the chance of becoming addicted when one takes drugs. Addiction can also occur in families that have a strong genetic connection to the same. One’s social environment, which includes colleagues and friends, can also affect addiction. Additionally, the earlier you start using drugs in life, the higher your chances of addiction, which can translate into bigger problems. You will know if you are abusing prescription drugs when you are taking a larger dose than what was prescribed by your doctor or if you are using them for reasons outside why they were prescribed. If, for example, you take pain medication because you are feeling bored or out of sorts, this can be categorized as prescription drug abuse. If you are also taking prescribed medication more often than it was prescribed or taking twice the amount, this is also abuse of prescription drugs. You may start calling your doctor more frequently to get refills for your prescription medication or you may start requesting for larger amounts of your medicine. This is another indication of prescription drug abuse. The individual may try to look for prescriptions for these drugs from multiple doctors and feign losing his/her prescriptions in order to get more prescriptions. The person might seem to be sedated, more energetic than usual, or high. Other signs to look out for include poor decision-making ability, decreased or increased sleep, and extreme mood swings. A pharmacist might notice abuse of prescription medication in the form of altered or falsified prescription forms. Another sign is if someone has different prescriptions for prescription drugs from various doctors. Addiction requires treatment just as is the case with any other chronic diseases. There is no specific treatment suited for everyone who with a prescription drug problem. The treatment accorded should consider the drug used and the individual’s requirements. It may also need to assimilate some elements including counseling, detoxification, and pharmacological therapies in some cases. This can be combined with recovery support and mutual self-help. The individual can go to drug treatment facility to get help moving past the drug’s withdrawal symptoms so that he/she can start the journey towards a drug-free life. Treatment for prescription drugs problems is a long-term process consisting of two main stages, which are detoxification and rehabilitation. The detox stage includes a treatment in which the patient is slowly weaned off the drugs. The patient is given reducing amounts of the said drug or alternatively a substitute drug within the same class but with less addictive properties on a daily basis. This is done until the dosage becomes so low that when the patient stops taking the drug completely, there are no painful withdrawal symptoms that occur. After the detoxification period, the patient is then placed in a rehabilitation facility specifically for prescription drug abuse. This facility is equipped to help keep the patient free from exposure to drugs as he or she goes through in-depth group therapy and individual therapy sessions conducted by a certified medical expert. There may also be use of medication during the process of treatment to reduce the effects of withdrawal symptoms one is experiencing. This medication can also help in regulating the patient’s body chemistry so it can resume to normal levels. In the course of counseling, the patient will be taught to identify any events in his or her life that act as a trigger for their prescription drug misuse. Such triggers can include anything ranging from situations the person can find themselves in to specific people in the individual’s life. Some places can even be a trigger for drug use in these patients. The counseling sessions will help the professional to seek out all these triggers in the patient and once they are identified, the center’s personnel can help the patient handle each one. The patient is taught coping skills at the facility to help him or her adopt them instead of the drug taking behaviors. Such coping skills will benefit the patient by acting as new behavioral responses that have been developed to replace any older responses that gradually caused the drug abuse. The time accorded towards the treatment of prescription drug abuse in patients is not established before he or she is placed in a program. The time that is used to taper off drug use during the detoxification stage also varies with individual patients. Individuals who have used drugs for a longer period or those who came in after taking larger drug doses will typically take longer to wean off the drug compared to those with lessor use. The procedure may also be extended in relation to the patient’s response to varying dosage levels. Extra time may be required during the dosage plateaus as the patient adjusts to reducing amounts of the drug in their system. The process of treating prescription drug abuse usually takes several weeks to complete especially for opiates such as fentanyl and codeine but for sedative withdrawal, it can even take several months. There is no available process for tapering off stimulants, as there are no approved withdrawal drugs for the same. The only available treatment for stimulant addiction includes medical observation all through the withdrawal period. During that time, there will be efforts taken to help in reducing the severity of the withdrawal symptoms by providing a restful environment. The detox stage is immediately followed by a period of medical observation amounting to 24-48 hours. During this period, the patient will be monitored for any withdrawal signs and then treated as needed by medical personnel on-site. The rehabilitation period that follows detoxification is not a pre-established duration either. Each rehabilitation program for prescription drug abuse is personalized for each individual undergoing the process. The modification can significantly increase or reduce the amount of time one spends n rehabilitation depending on a patient’s requirements. Most of the rehabilitation programs start with a 30-day duration with available extensions to increase one’s rehabilitation to a period of 60 days or 90. At times, this rehabilitation period can be extended further. The rehabilitation should last as long as is required for the patient to have enough time to end his or her dependence on the prescription drug via detoxification. This is also to reduce psychological drug dependence thanks to cognitive behavioral therapy. Once a patient completes the prescription drug abuse rehab program, he or she will continue taking steps towards a drug-free lifestyle. He or she does not need to go about it alone, as there are support groups available to offer peer support all through the process of recovery. Support groups for prescription drug abuse are merely an extension of the groups that are put together within the rehabilitation facility for sessions involving group therapy. These support groups usually meet on a regular basis to talk about problems that the members have related to their recovery from prescription drug dependence. The group members can also talk about their success stories regarding the ways they have used to keep themselves drug-free. Patients can also find mentors among their colleagues in a support group to offer one-on-one assistance all through the recovery process. Such a mentor will be a person who has gone through the recovery process long enough to identify the pitfalls likely to be experienced by the patient. The mentor can use his or her insight on this to give the patient guidance around any trouble areas during recovery. The mentor can also determine early indications of a relapse in the patient like vague medical complaints as an excuse to go doctor shopping or mood swings. The mentor can try to get him or her into a recovery facility for prescription drug abuse to help them become clean from drugs again. Aside from support groups, patients can also proceed with therapy sessions that they started in the rehab facility. This can help to deal with any remaining issues with psychological dependence. The patient can continue with the same counselor they had in the facility if he or she is available but if this is not the case, there is the option of another qualified therapist with experience on patients with drug abuse issues. A former prescription drug abuser can involve family members to help them understand the issues of addiction he or she is facing. The patient can also start mending any relationships that were affected during the addiction period. Prescription drug abuse is a huge problem that keeps growing with the increased number of written prescriptions. Users do not need to remain addicted to prescription drugs and all it takes to solve this is to get the help they need via any addiction hotlines or rehab centers.